Do you want your baby to nap on the go? Does the busy world around stop your little one from getting the sleep he or she needs? 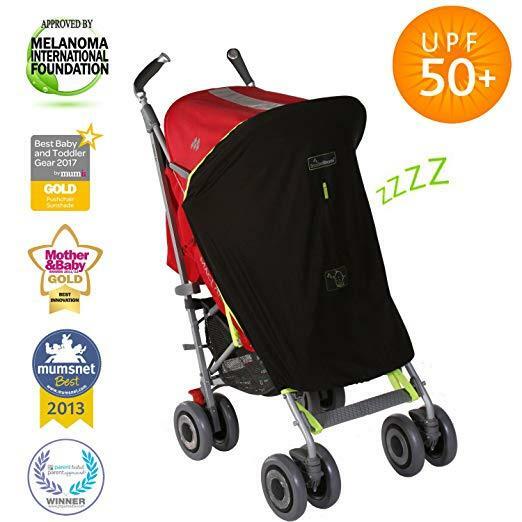 The UK's best-selling Mom-designed baby stroller sun shade and baby sleep shade is here Our universal stroller sunshade’s air-permeable mesh creates a safe, shaded and well-ventilated environment for on-the-go naps Approved By The Melanoma International Foundation, our UV stroller cover blocks 99% of UV and gives your baby shade from the sun. 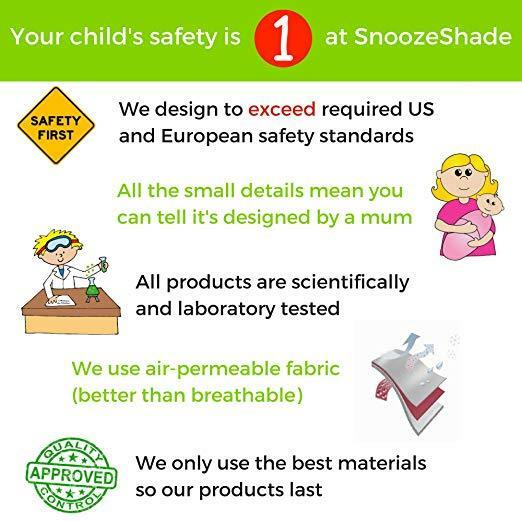 Our pictures show how it can be used in different ways for sleep and for baby sun protection SnoozeShade also stops biting bugs, irritating insects, wind, chill and cats from disturbing your little one's nap – distractions are blocked and sleep is encouraged wherever you are Simple to use with six straps and stretchy sides to make it easy to fit. It fits ALL single strollers.